Welcome to the web blog of the Grand Lodge of the ČSPS of Baltimore located at 1300 Horners Lane, Baltimore, MD 21205 and the Offical Site of the Bohemian National Cemetery of Baltimore, MD. Our mission is to promote the history and culture of the Bohemian people. The Lodge supports the “Bohemians of Baltimore Museum,”ancestral data base, Visitors’ Center, and the Bohemian National Cemetery of Baltimore. What is the Grand Lodge Č.S.P.S? The Grand Lodge Č.S.P.S. is a Czech benevolent society that was formed in 1854 by the Bohemian immigrants to facilitate their socialization in the U.S. and assure the continuation of their history, culture, language, and spirit. Č.S.P.S. supported a Czech language school, social events, provided health and life insurance, and created a cemetery for its members. The Společnost of Baltimore City, lodge 26, operated in Baltimore City and the counties of the state of Maryland. In 1854, the Bohemian immigrants banned together to form a benevolent society that would serve to unite them and provide a forum for social activities, provide services, help obtaining insurance, promote the continuing education in the Czech language, and a common place for gathering and support. In the early and mid 1880’s, there was an influx of people from Bohemia into the U.S. Since Bohemia was land locked, many Czechs traveled to Germany and traveled to the U.S. to either the New York or Baltimore Harbor. On November 8, 1880, the following signers of the papers of incorporation formed the Grand Lodge Č.S.P.S of Baltimore City: Voztech Vohrna, Josef Vavrina, Václav Neuman, Otto Hilser, Joseph Schir and Dominik Zelenka who served as the Board of Directors for the first year.The lodge had a unifying effect on the Bohemian community for many years. However, as time passed, leadership aged and the membership faulted. Other branches of this organization spread to other states with the western migration. The first Texas Č.S.P.S. lodge was organized April 13, 1894, and by 1987, there were 27 Č.S.P.S. lodges in Texas alone. The Č.S.P.S. lodge # 29, in Wilber, Nebraska was founded, in 1881. The Č.S.P.S. sponsored activities in St. Louis and remote towns throughout the Midwest. The Č.S.P.S. lodge in Iowa was established in Cedar Rapids, in 1879. Membership grew quickly and other Č.S.P.S. lodges were formed in Cedar Rapids, as well as other towns. 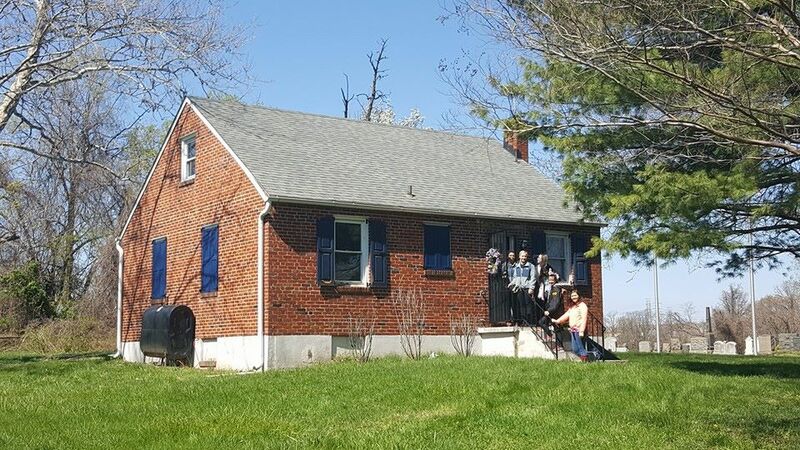 Many descendants of those original founders and members have demonstrated an increased interest in reviving the lodge and supporting the original goals of the society while preserving the history of the Bohemian community. With the help and guidance of the Maryland Historic Society and volunteers, we are reestablishing the membership, restoring the site at Horners Lane, establishing an ancestral database, and a small museum. The carriage house and cottage were repaired for use as a meeting place for the Bohemian National Cultural Center. My grand parents are buried there. I also have an uncle who died as a baby and was buried there in an unmarked area. Do you have any records on the unmarked area? Ron Winter. I’m interested in visiting my GF and GGF’s sites: is there a layout of the cemetery grounds? Or, can you let me know how to find U-14-B Lot Franc and Z-1-11? Thanks, Kathy. I have a plot of the cemetery and can direct you. We also have lots of information on the heritage of our ancestors and would like to include any additional information that you can provide. W are also looking for new members to help foster the Bohemian National Cultural Center. Please let me know if you are interested. I will check with the rest of our ancestral committee and have them revert back to you. I haven’t heard anything back, yet; maybe everyone is enjoying their summer. Matej Flutka (in the Franz plot) was reburied in 1941 to Most Holy Redeemer Cemetery.